What does it mean to be Mayor in a time of enormous growth? Dr Michelle Byrne describes what it takes to lead an organisation as large as Council and the complexities of providing for the future. Dr Michelle Byrne has led a distinguished career in both the public and private sectors. She has approached all her roles with the ethos of service, dedication and persistence. Michelle was first elected to The Hills Shire Council at the 2008 Local Government elections and by 2011 had been elected Deputy Mayor. 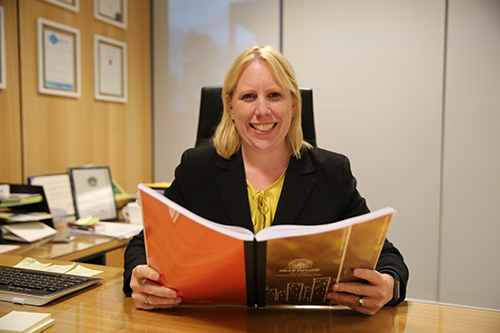 To this day, she remains the youngest ever Mayor of The Hills Shire - a title she received when she was elected Mayor in September 2012. She was re-elected to the role of Deputy Mayor in September 2014 following two years as Mayor and, in 2017, Michelle was officially elected as the first-ever popularly elected Mayor. Michelle is passionate about education and life-long learning. She has attained a doctorate in cancer research and a law degree. She is a strong supporter and Patron of The Hills' major cancer-awareness event - The Hills Relay for Life. Michelle is an active community advocate, and is passionate about raising awareness of Mental Health issues. As Mayor, Michelle enjoys connecting with the community, and her vision is to create an excellent quality of life for those who live in The Hills. Q: We are living in a time in which Sydney is experiencing massive growth. How is this impacting your role as Mayor of one of our fastest-growing Councils? A: This is definitely one of the most exciting and challenging times our Council has experienced. We are growing at an incredible rate, and one of the biggest infrastructure projects our Shire has ever seen - the Sydney Metro Northwest - is about to change the way we all live and work. The role of Mayor is vast, and the challenges that massive change brings requires unwavering resolve and constant communication with the community. As leader, I need to ensure everyone understands the big picture and we all remain focussed on those things that will help achieve our goals for building an exceptional community for the future. Our leadership team is committed to working out what's best for all residents, balancing short-term pressures against the needs of long-term residents who are going to live with those decisions. We need to manage our share of Sydney's growth by making the right decisions. This means ensuring the right infrastructure is in place, the right buildings are built and the right services are delivered to get great outcomes for all residents. Q: How is The Hills working with neighbouring Councils to achieve good outcomes for the whole of Greater Sydney? A: The Hills has been identified as part of the Central City District along with the City of Parramatta, Blacktown and Cumberland - and I recently met with Lucy Turnbull, the Chief Commissioner of the Greater Sydney Commission, and Sarah Hill the Chief Executive Officer to discuss our role in implementing the vison of the new District Plan. I've also met with Mayors and General Managers of the Councils that make up the Central City District to discuss how the plan will be carried out, opportunities for collaboration and most importantly how critical transport links can be secured. 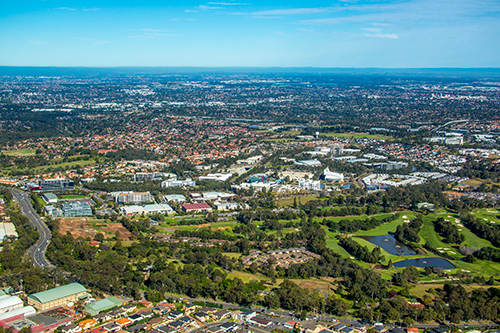 Based on our record of significant contribution to housing and jobs supply - along with the arrival of the Sydney Metro Northwest - The Hills is likely to meet and exceed the housing and job numbers identified in the District Plan. We will continue to proactively plan to accommodate additional population and support it with housing, infrastructure, employment and recreation facilities to ensure the Hills remains a premier destination to live, work and be educated. Q: As Mayor, you are a "leader of leaders" - how do you keep everyone on task? A: Although there are many leaders at Council, we are really just one big team. We have a team of Councillors, a team of Executives and a team of Council officers - but we are all working on the same goals and we are all playing the same game. In everything we do, we aim to do our best for the people we serve. We all understand there will be competition for finite resources, and leading our team to come up with balanced decisions that meet the needs of as many people as possible is my key focus. Unfortunately, you can't say yes to everyone and when it comes to leading a community, that's the difficulty in roles like mine because often opinions about what should happen are quite diverse. Q: How does leading a community differ to leading a business? A: The needs of any community are broad and complex, but in essence managing a community is not that different to managing a business. It's all about setting the strategic direction of the organisation, and ensuring everyone is clear on that direction. It's about establishing processes and allocating resources so we can carry out those strategic directions. And it's about measuring progress to make sure we are achieving our goals. Are we focussed on the things we said we are going to do for the community, or are we bending to distractions that keep us from delivering the big picture? The removal of planning powers from Councils is incredibly frustrating. Like any business we want make good decisions that lead to great outcomes, but imagine owning a business yet having a stranger make all your big decisions? The introduction of Planning Panels unfortunately means that the final decision-making about how our Shire will develop is being made by people who don't live here and can never understand our local nuances and needs. Q: What are you plans to embrace growth in the future? We know we need to accommodate more people, but we want do so in a way that makes them proud to live here. We want to ensure they have homes they will be proud to live in, parks, playgrounds and services that meet their needs and a natural environment they can enjoy. Council engages with many people to carry out the detailed planning that will help achieve this, and it's important that we stick to our plans. As we grow, we know that rich opportunities will open up for businesses. Massive growth will create employment and bring new business to the region. Council wants to support this by creating an environment where business can flourish. 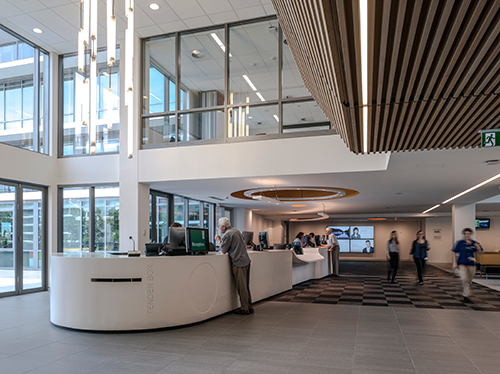 Norwest Business Park is a classic example of a built form that, with the arrival of the Sydney Metro Northwest, will be an extremely desirable place to work and do business. Q: What would be your one piece of advice to local businesses? A: Plan to take advantage of the opportunities that our region's massive growth will offer in the future and if you'd like to understand more about the region or the industry you're working in, we are here to help.